Keep Track Of Your Furry Friends! 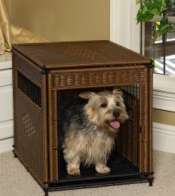 Dog gates are simple to install and adjustable to different size openings. 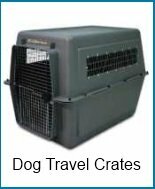 They keep pets safe and contained where you want them to be without cutting them off visually. 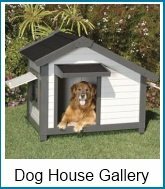 The Walk-Thru version shown above has the following features including an extra door for smaller pets to pass through. Chewproof all-steel sturdy construction - lead-free, non-toxic. Adjustable for a range of openings from 29-44 inches. Adults can conveniently pass through using one-touch safety lock. Large pets stay safely confined. Small pets can pass through small door within gate. Suitable for one or more pets. Ideal for doorways, hallways and staircases. 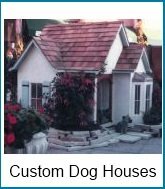 Perfect for keeping pets and your home safe. Enclose one area of an open floor plan. Make a barrier in hallways of varying width. Section off just one area of a room. 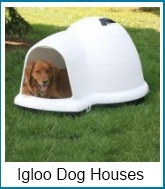 Or, create a completely enclosed pen for your pet. For example, when you go to bed at night you may want to use a foldable gate to enclose one area of your bedroom for your dog's bed. 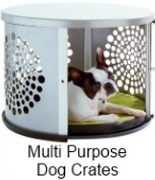 This is a good solution if you want to prevent him/her from roaming about during the night and one which your dog might prefer over using a crate. The gate shown below is a good choice for open floor plans. 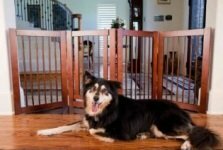 This versatile barrier gate converts from a free standing gate to a room divider or a pet pen. 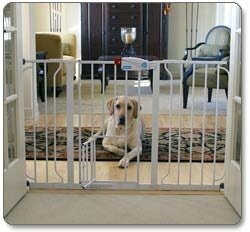 Pet gates are extremely handy when breaking in a new dog or puppy. Training a new pet - especially in unfamiliar surroundings can be difficult if a pet is given the freedom to roam about. To be successful and also fair to the pet, it's imperative that owners not only know the whereabouts of their pet at all times, but that they can also see them. Pets are also much more comfortable when they are able to see you, even if they can't be up close. Pet gates can be put in places where you want to restrict access, while at the same time allowing you to pick up signs that your dog may need to go outside. Consider the size, height and strength of your dog. Your primary use of the gate. Type of material if your dog is a chewer. The ease of opening and locking the dog gate if it will be used on a daily basis. Is a nice looking appearance preferred, or can blend with your existing decor. Organic food choices for a healthier dog. Common dog health problems and their remedies!